The report underscored the importance of subjective judgments in the process of fact-checking, amply borne out by numerous examples where fact-checking organizations betray significant political and cultural biases in their assessments. The results of the study, executed by Daniele Scalea of the Machiavelli Center for Political and Strategic Studies in Rome, were presented at the Italian Parliament Wednesday during an academic conference on the topic of fake news and journalism. Many of the errors proceed from broadening the scope of fact-checking to include statements that express opinion, analysis or prediction. Since fact-checkers do not limit themselves to appraising objectively verifiable assertions, the study revealed, they pronounce judgments not only about facts, but also about what attacks are fair, what arguments are reasonable, what forecasts are probable, and what language is appropriate. 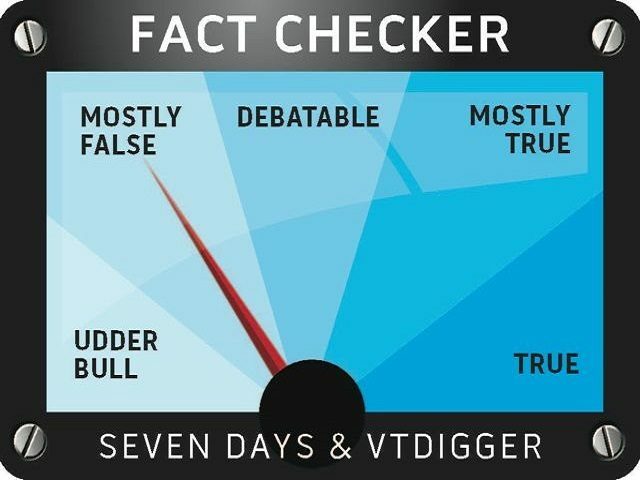 In the majority of cases, the report continues, fact-checkers weigh the validity of arguments, rather than checking facts. This exercise involves significant space for human error and entails a good dose of subjective opinion, despite the pretension of impartial analysis. Fact-checkers even evaluate predictions, the new study noted, which fall completely outside the realm of verifiable or falsifiable data. For instance, in 2011 PolitiFact evaluated the claim by Rick Perry that “when you sanction the Iranian Central Bank, that will shut down [Iran’s] economy.” PolitiFact judged the statement to be “half true,” because in their opinion the move would have “uncertain effects” and it’s not “proven” that Iran’s economy would shut down. Ironically, an attentive reader wrote in to PolitiFact to point out a truly factual error in the same PolitiFact article, and the fact-checker was obliged to issue a public correction of the mistake. 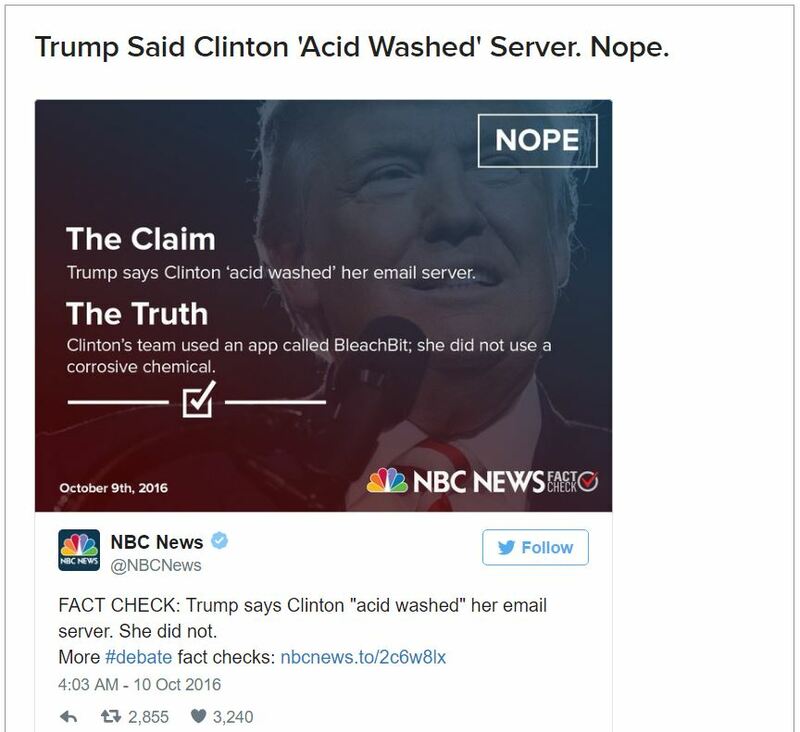 In another humorous example, the fact-checkers at NBC News pronounced judgment on a claim by Donald Trump during the presidential debate that Hillary Clinton had “acid washed” her mail server. NBC called the claim false because Hillary had used a program called “BleachBit” to expunge her server of potentially damaging material rather than physically bathing the hard disk in corrosive acid. Also in 2016, the Associated Press Fact Check declared that Donald Trump was “wrong” to say that Syrian President Bashar Assad fights the Islamic State. Yet the same AP had published a headline a few months earlier stating “After Palmyra, Syrian Troops take another IS-controlled town,” underscoring the inroads that the Assad government had made in fighting ISIS. Using these and other examples, Scalea mounted a persuasive case for the unreliability of today’s fact-checking services, which are often directly or indirectly tied to other journalistic interests. The report also found that professional fact-checkers are subject to market forces similar to the rest of online journalism, and must fight against competing fact-checkers for page-views and ratings. The report is especially relevant today as Facebook continues forward with plans to evaluate material posted on its social media site and remove items it judges to be fake news. The panel of assessors used by Facebook comes from the very people responsible for egregious errors in fact-checking in the past.